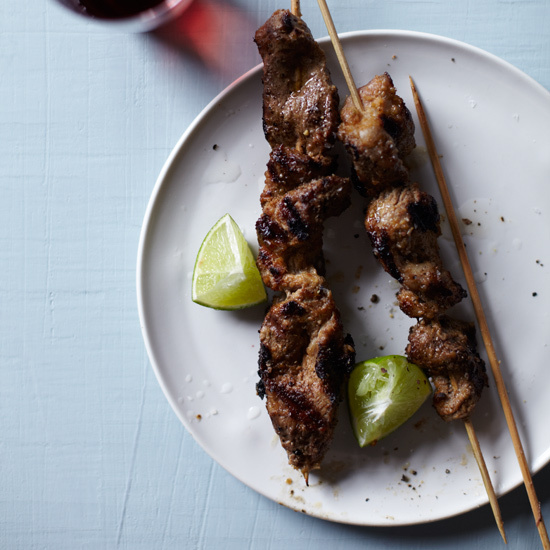 From pork marinated in coconut milk and lemongrass to spicy chicken skewers served with peanut sauce, these satay recipes will satisfy all your cravings for Asian grilling. Pork satay, a staple among hawkers in Singapore, is typically very sweet. this version, which gets marinated in a combination of lemongrass and coconut milk, is more balanced. It also has extra fennel seeds, making the tender skewered meat even more aromatic. 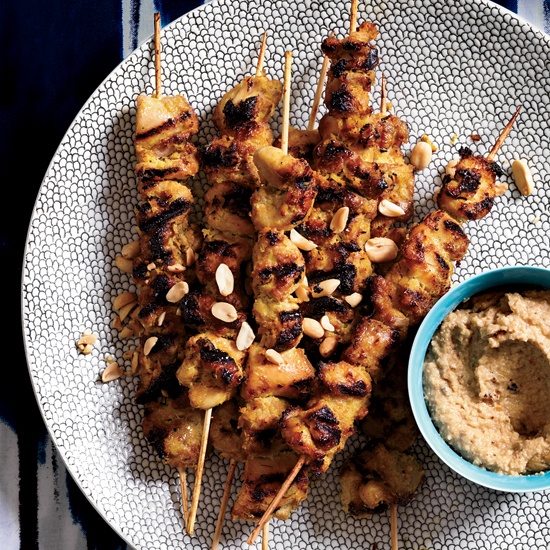 In this ingenious version of an Indonesian classic, the gingery, lemongrass-scented satay paste is the base for the chicken marinade as well as for the luxurious peanut dipping sauce. A few alternatives to the chicken: thinly sliced beef or pork or whole, shelled shrimp. 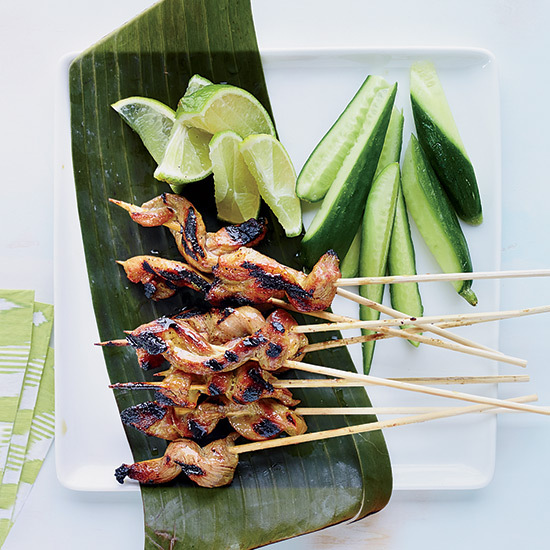 To make these delicious, grilled pork skewers, briefly marinate strips of pork shoulder in coconut milk, sweetened condensed milk, fish sauce and soy sauce with a hint of curry. The sugars in the marinade char beautifully on the grill, creating a richer, deeper flavor than the simple recipe might suggest. In Singapore, satays are usually made with chicken or lamb. 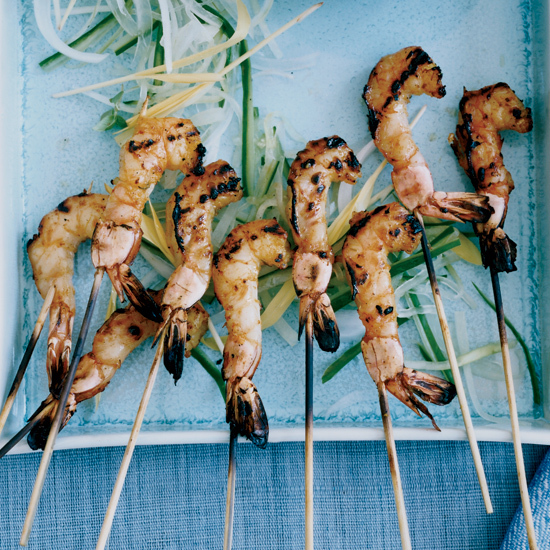 But for a party, try shrimp for a more festive take. Marinate the shellfish in an alluring mixture of sauteed garlic, ginger and ground spices, then thread each shrimp on its own skewer and grill them until they're lightly charred. 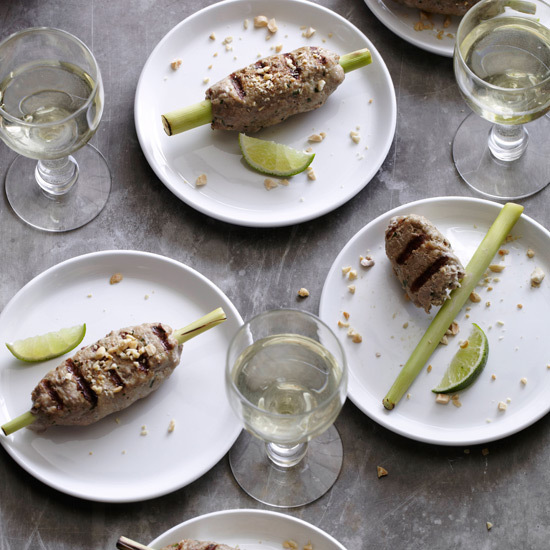 The skewers in this recipe are actually lemongrass stalks to add extra flavor while the meat cooks on the grill.